The Faiez Serraj-led PC/GNA has effectively devalued the Libyan dinar by adding a 183 percent levy on foreign currency sales to Libyans which vales the dinar at 3.90 per US$ (Photo: Sami Zaptia). The Faiez Serraj-led Presidency Council and Government of National Accord (PC/GNA) announced that it was imposing a 183 percent tax / levy on the official sale of foreign currency. 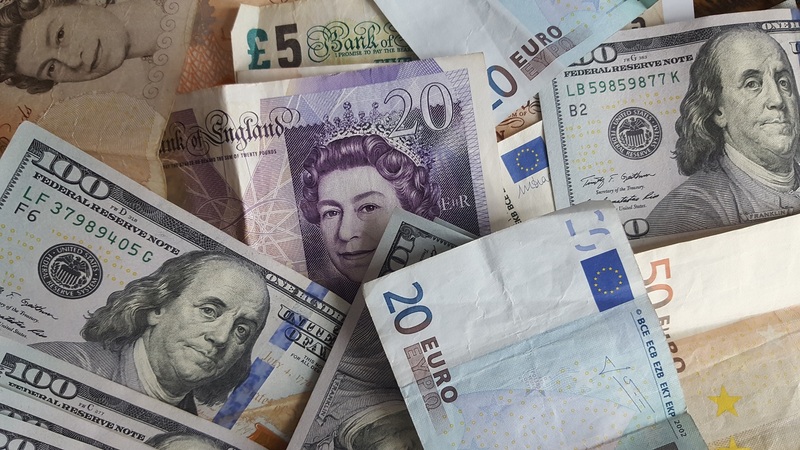 The levy applies to official foreign currency sales and does not apply to the black-market exchange rate – which in reality dominates the currency market as it is able to provide an unlimited supply of foreign currency available to those who need it. The levy will he imposed by the Central Bank of Libya (CBL) via commercial banks operating in Libya who actually deal directly with foreign currency clients. The new foreign currency levy in effect devalues the Libyan dinar and raises the exchange rate of 1 US$ to LD 3.90 from the official LD 1.38 per dollar exchange rate. This contrasts markedly with the average black-market rate of LD 6.50 over the last two weeks. It will be recalled that the Serraj administration had announced on 12 September that it had finally, after years of negotiating with the Central Bank of Libya, the House of Representatives, the High State Council and the Audit Bureau – reached agreement on an economic reform package. It must be noted that the reforms were passed in the form of an executive decree (1300/2018) as opposed to a parliamentary law. This leaves the reforms open to legal challenge as historically matters of finance are the jurisdiction of the legislature and not the executive. The new foreign currency tax levy will not apply to the annual U.S. dollar family allowance but will apply to the salaries of foreign workers. As part of the economic reforms, the annual U.S. dollar family allowance will be increased by another U.S $ 500 in 2018. This is deemed to be compensation for the planned reduction of state subsidies for fuel, food, medicine and electricity. The ceiling for the annual private health and education allowance will also be raised. It has to be transferred directly abroad to a health or educational entity. It will not be disbursed cash as this could encourage increased black-market currency dealing. The economic reform decree also stipulated a U.S. $ 10,000 annual transfer allowance for every citizen, probably through Western Union/MoneyGram. The decree prohibited the opening of Letters of Credit to state entities for the import of products already imported by the private sector. The exception will be for “essential and strategic” goods which is to be defined by the technical committee. Finally, the decree says, vaguely, that the Serraj PC / GNA will be tasked with the necessary procedures to remedy fuel subsidies. It is worth keeping in mind that Ghassan Salame, head of UNSMIL, who had been instrumental in activating these reforms after the recent militia fighting, had said at the 9 September Zawia Ceasefire Consolidation meeting that the causes of the recent militia fighting were economic and that he could not remain silent on the current situation of economic collapse in Libya. In otherwords, Salame saw the resolution of Libya’s economic problems as being fundamental to solving the country’s political problems. He had also reported in his recent briefing to the UN Security Council that much of what was occurring in Libya was predation of the rentier state by the various contending factions and militias.